Get ready for the biggest NEW publishing phenomena of 2007! 'Okay then. Though you don't actually have a heart,' she said. Stephanie's uncle Gordon is a writer of horror fiction. But when he dies and leaves her his estate, Stephanie learns that while he may have written horror, it certainly wasn't fiction. Pursued by evil forces intent on recovering a mysterious key, Stephanie finds help from an unusual source - the wisecracking skeleton of a dead wizard. 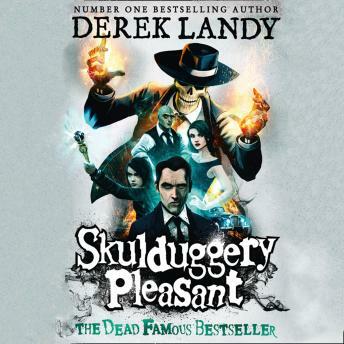 When all hell breaks loose, it's lucky for Skulduggery that he's already dead. Though he's about to discover that being a skeleton doesn't stop you from being tortured, if the torturer is determined enough. And if there's anything Skulduggery hates, it's torture... Will evil win the day? Will Stephanie and Skulduggery stop bickering long enough to stop it? One thing's for sure: evil won't know what's hit it.